March had all well begun, with lovely days of sunshine and soothing temperatures. In the gardens, crocuses, snowdrops and daffodils were blossoming, and birds singing loudly. 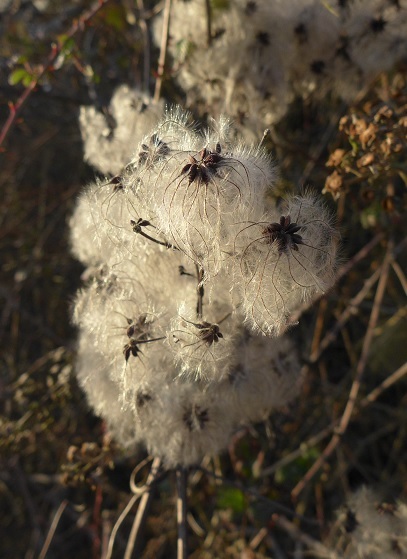 This is a little walk in the local nature reserve I want to share with you – not a recent one though, as the sun has been pretty mean these days! 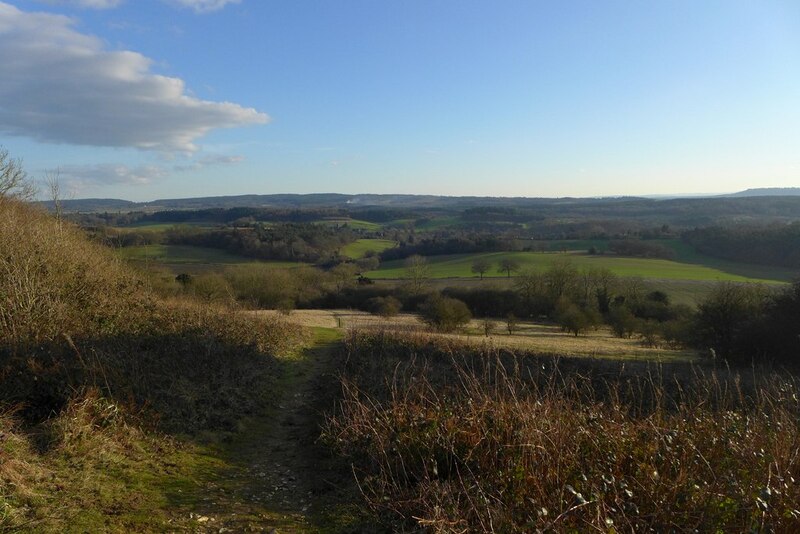 A lovely view from the Surrey Hills : blue skies, green moss, red stems of the dogwood bushes, and pale yellow shades of the hay. 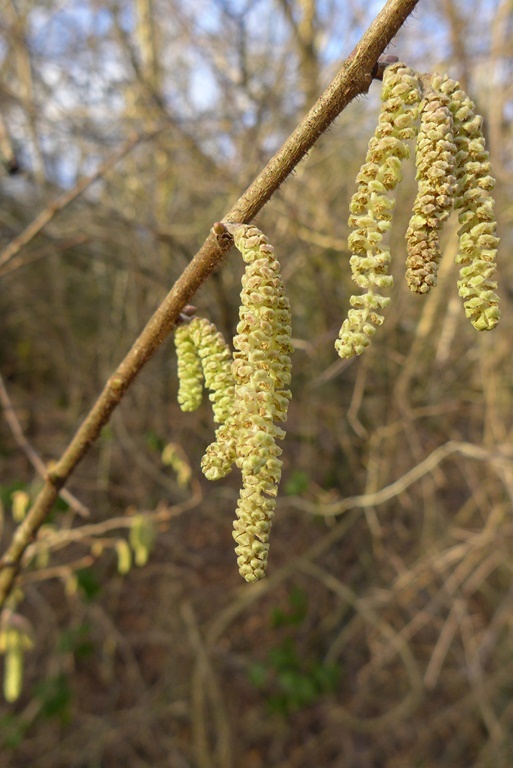 Flowerings are still scarce at that time of the year – but the catkins of hazel trees (the male part in hazel reproduction!) 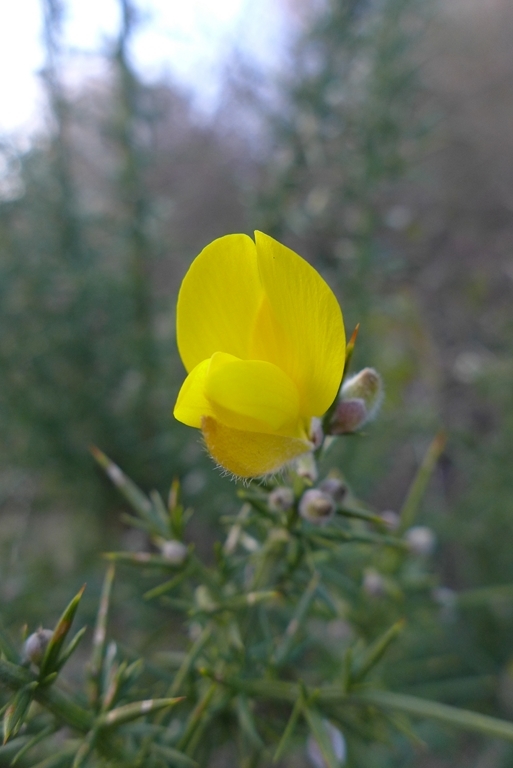 and pea-like flowers of gorse (Ulex europaeus) are bringing a touch of yellow in the countryside. 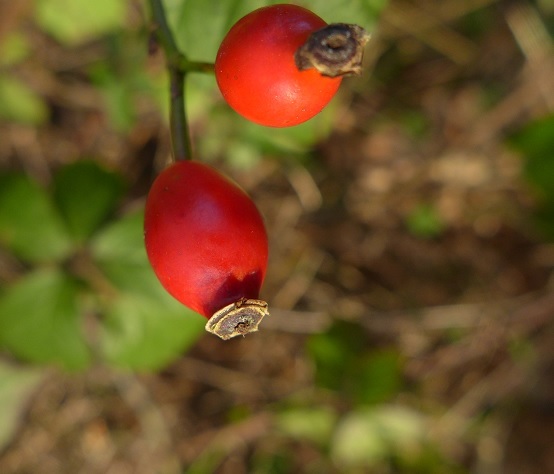 Not all fruits have been eaten in winter – dog rose hips (the fruits of Rosa canina) and the fluffy balls of Clematis vitalba (very suitably called Old Man’s Beard) are bringing some colour to the landscape. Have you ever noticed weird wiggly lines on leaves, here on bramble (Rubus sp.) leaves ? 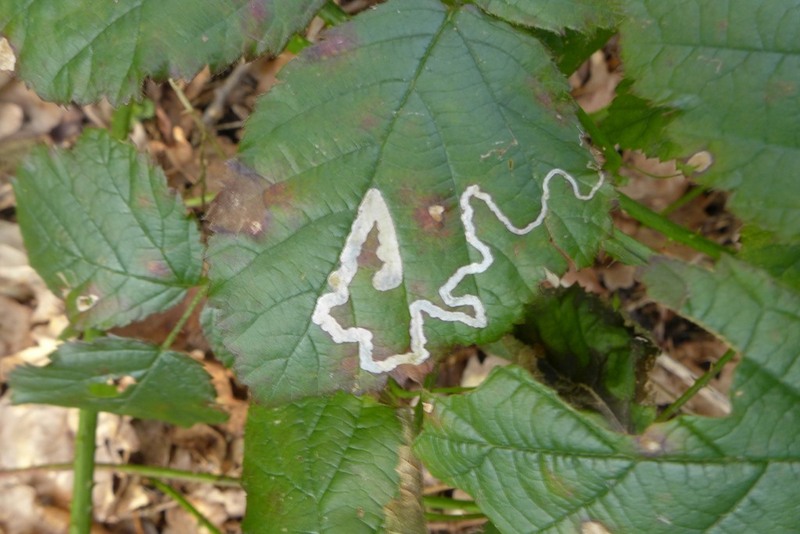 The line is actually a mine (gallery) caused by the larva of various insects. Here, it’s probably the very common micromoth Stigmella aurella. The adult measures only a few millimeters, so the larva is even smaller. The adult lays its eggs on a leaf in late summer, the larva will start to feed inside the leaf. You can see the gallery gets larger and larger along its route : this is because the larva grows as it feeds on leaf tissue! The weather in March has been one of the coldest in more than 50 years – this is no good news for wildlife, and fragile populations of plants and insects will probably take time to recover. Yet, spring-flowering shrubs like Prunus are starting to bloom. I hope I can share some more seasonal pictures of the reserve soon! I’m also hoping to see seasonal events in the very near future! It’s still much too cold but at least the sun is shining to give me some hope of rising temperatures in the near future.